이 Rockwell B-1 Lancer is a supersonic variable-sweep wing, heavy bomber used by the United States Air Force. It is commonly called the “Bone” (from “B-One”). It is one of three strategic bombers in the U.S. Air Force fleet as of 2018, the other two being the B-2 Spirit and the B-52 Stratofortress. The B-1 was first envisioned in the 1960s as a platform that would combine the Mach 2 speed of the B-58 Hustler with the range and payload of the B-52, and would ultimately replace both bombers. 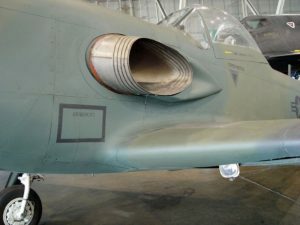 After a long series of studies, Rockwell International (now part of Boeing) won the design contest for what emerged as the B-1A. This version had a top speed of Mach 2.2 at high altitude and the capability of flying for long distances at Mach 0.85 at very low altitudes. 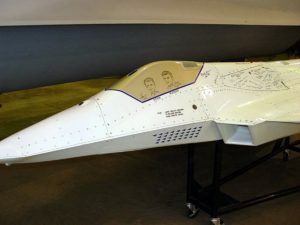 The combination of the high cost of the aircraft, the introduction of the AGM-86 cruise missile that flew the same basic profile, and early work on the stealth bomber all significantly affected the need for the B-1. 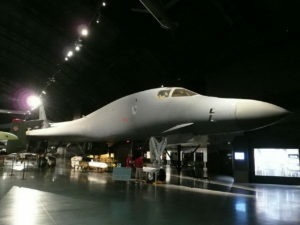 This led to the program being canceled in 1977, after the B-1A prototypes had been built.